We are now an accredited teaching facility for the 2 years MSc in Dental Implants with in conjunction with the University of Cental Lancashire. For restorative, re-constructive or cosmetic needs, dental implants can give the patient new teeth which look, feel and function just like the natural original. They allow the patient to regain the ability to eat, smile and speak with complete confidence and also improve the appearance. Implants are very strong and long-lasting. They provide permanent fitting and chewing strength. Compared to bridges there is no invasive re-modeling of adjacent healthy tooth structure required. Implants also help to preserve facial contours by preventing the degenerative bone shrinkage which occurs when the teeth are missing, thus preventing that ‘hollow’ facial look. Full or partial denture wearers are particularly attracted to the restorative results which are possible as a denture can be kept very stable with permanently fitting implants as opposed to the use of denture adhesives. Dental Implants help in replacing missing teeth. They are the next best thing to the natural teeth. Dental Implants are titanium which is inserted in the jaw and are fixed with crowns on top to give the feel of natural looking teeth. A few medical conditions prevent the use of implants but these are rare. There is no age limit and elderly patients are often quite suitable. However, implants need enough good quality bone to lock into. Certain individuals may not have enough bone in the right place or the bone may be too fragile to support an implant. This can sometimes be overcome by bone grafting procedures. Are implants safe and long lasting? Dental Implants are a safe procedure and last for many years. There is aftercare which is required. Our experienced dentist will go through the aftercare with you. Smoking can affect the healing of an implant. However, this does not prevent smokers from having implants successfully placed and restored. Speak to our dentist to find out more. Dental Implants is not a very painful procedure. Our expert dentist will conduct the procedure under anesthesia to minimize the pain. If you are a nervous patient, we can also arrange sedation for you. The treatment can be carried out by Alexandra Park Dental Practice on a surgery-only basis – where your dentist will be involved in the planning and building of the superstructure crown or bridgework. Alternatively, we can execute the whole process, with our dentist working in close consultation with our restorative specialist. Once your new tooth is completed you will be given a post-operative care plan to keep the implants in good order. Each individual clinical situation has to be considered carefully when considering dental implants. Not all patients are suitable for dental implant treatment. An initial clinical examination of your gums, teeth, bite and jaw bones plus x-rays will be required to evaluate the suitability and the type of procedure necessary. 1) We have advanced training in implant skills and use implant techniques recognized for their innovation and reliability. 2) We use the latest and most advanced equipment. 3) We offer comprehensive planning to ensure the most ideal treatment to suit your needs and budget. 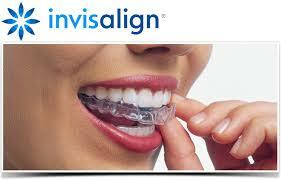 If you are interested in how implants can improve the confidence of your smile please call us for further details.